Maximilian Montessori Academy is dedicated to providing an outstanding education to children from pre-school through high school age. 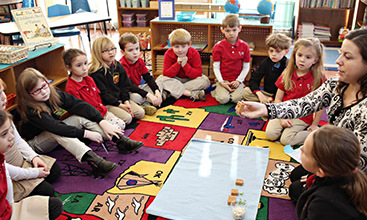 MMA uses the philosophy and techniques of the Montessori approach, including religious education through the Catechesis of the Good Shepherd in an atmosphere faithful to the Magesterium of the Catholic Church. MMA’s goal is to enable each child to develop as a well- rounded human being: spiritually, intellectually, socially, physically and emotionally. At Owensboro’s very own Maximilian Montessori Academy (MMA), this is what happens each day. MMA is an excellent educational option for the community, and is dedicated to helping each child reach his or her potential by teaching not only academics, but also morals, character, and basic life skills. Dr. Maria Montessori was a pioneer in education, and founded a method of instruction that facilitates independent exploration and allows for individual mastery of concepts. In her studies, Maria Montessori observed that given developmentally-appropriate materials and the freedom to follow their interests, children will teach themselves. The goal of Montessori education is to encourage a child’s natural capacity for learning, with the teacher serving as a guide. 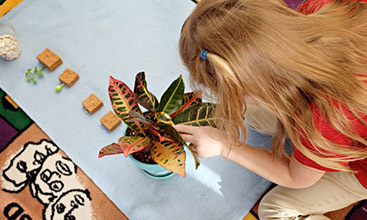 In a Montessori classroom, students are valued as unique individuals; they develop a sense of order, concentration skills, and become self-monitors; they are part of a close community and get to know one another; and they are taught to self-correct and learn from their errors. Students learn innovation and critical-thinking skills, essential for surviving in the current workplace. Maximilian Montessori Academy (MMA) is a private school, founded in 1988, which serves Owensboro and the surrounding area. 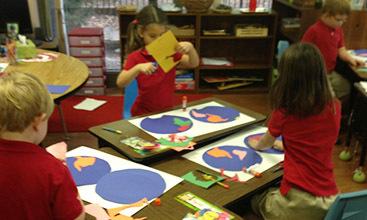 We educate children from preschool through the completion of the high school years. MMA is pleased to be an outstanding source of schooling for local families and shares the goal of all schools: to provide children with the best education possible. We offer a small, carefully-designed environment that provides some features that cannot conveniently be offered in a more traditional school setting.